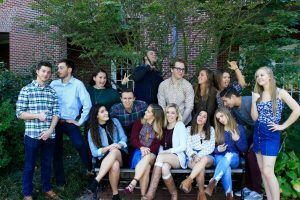 2017 has been a busy year. 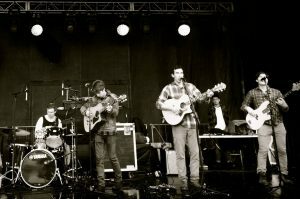 This year alone, the band fully solidified their lineup, released their first EP, Shallow, and played shows from Philadelphia to New York, including the first annual Philly Music Fest at the World Cafe Live this past September. 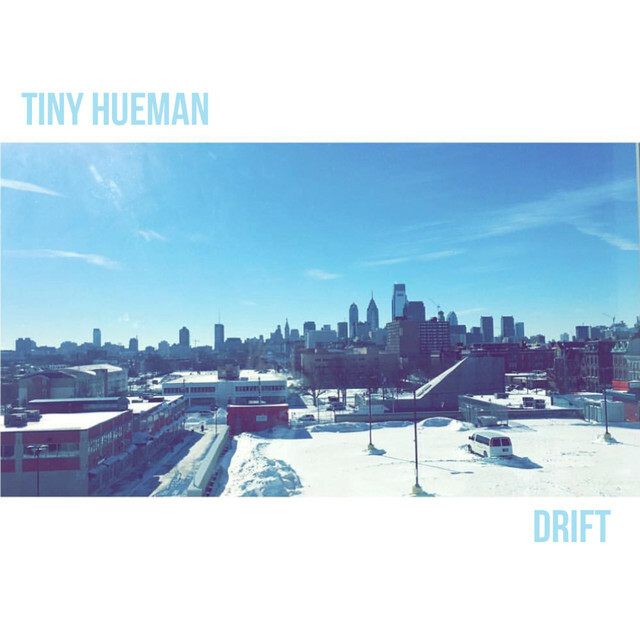 On November 24, Tiny Hueman released their sophomore EP, Drift, through New Noise Magazine. 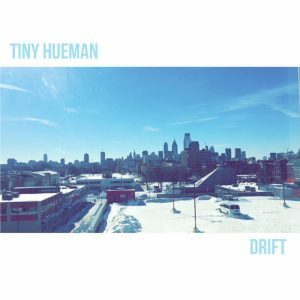 Experimenting with texture, instrumentation, and rhythm, Tiny Hueman successfully combines the brightness of indie rock with heavy alternative sounds. Dustin Miller and Vinny Vaccaro’s dynamic guitar riffs effortlessly blend with the driving rhythms of drummer Kevin Miller and bassist Josh Halberstadt, all rounded out by Richie Hollahan’s melodic and powerful vocal lines. Drift is an impressive work that establishes Tiny Hueman’s endurance in a densely packed Philadelphia music scene — just ask Circa Survive frontman Anthony Green. 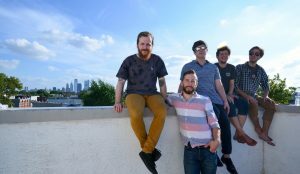 Days before the release, Tiny Hueman stopped by The Music Room to perform in the WVUD lounge and talk with Liz about the new EP, their inspirations, and their collaboration and growth as a band. Tiny Hueman, recorded November 10, 2017, aired November 28, 2017.